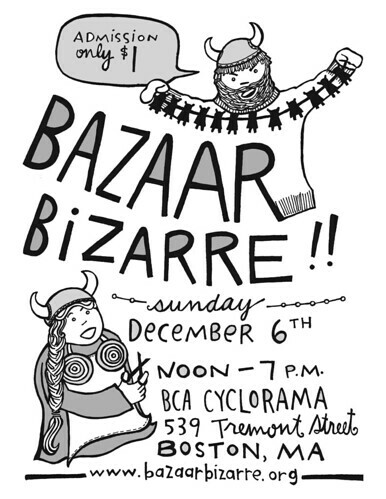 Bazaar Bizarre was fantastic, and I wasn't surprised, as this show is one of the best out there! I missed it last year, due to an unfortunate scheduling conflict, but I was back in Boston once again, sandwiched between my favorite crafty neighbor, Heather Toupin of heatherjeany + Thereminist Jon Bernhardt, better known as Jonnie Spaceman. The show was super fun, and by the end of the whirlwindy day, my table was empty and my heart was full. Thanks to the wonderful organizers, amazing volunteers, and everyone who graciously stopped by to say hello and shopped handmade for the holidays!